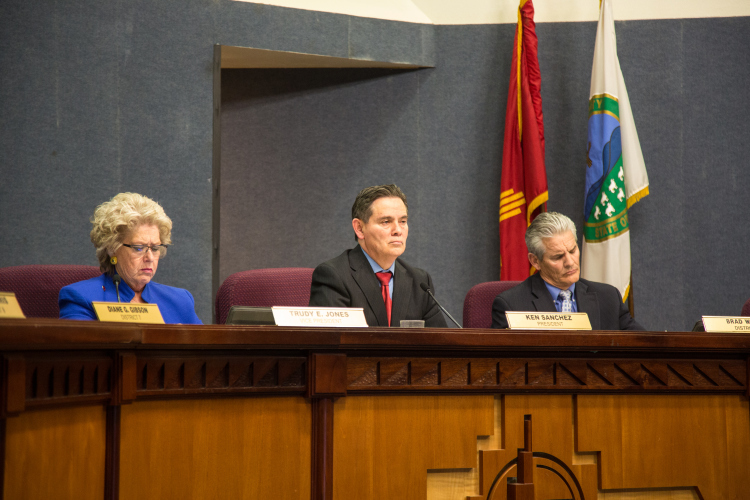 Sam Markwell’s writing and my photos of last night’s City Council meeting. 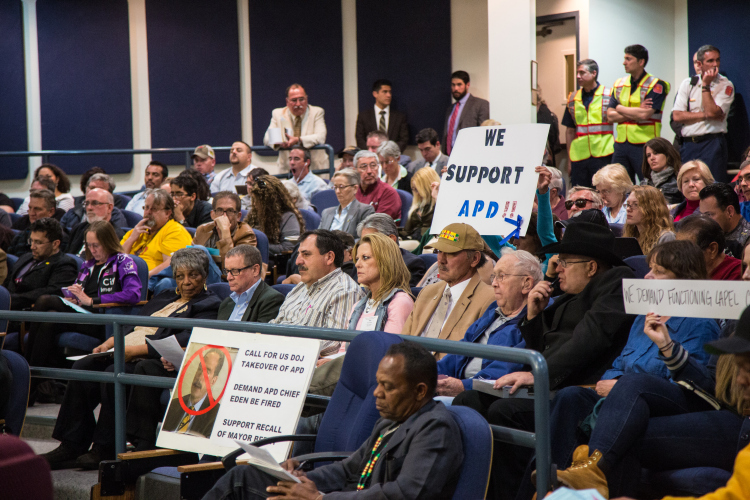 Wednesday’s City Council meeting, the first since the release of the video footage of the APD killing of James Boyd, was devoted entirely to critics of APD. 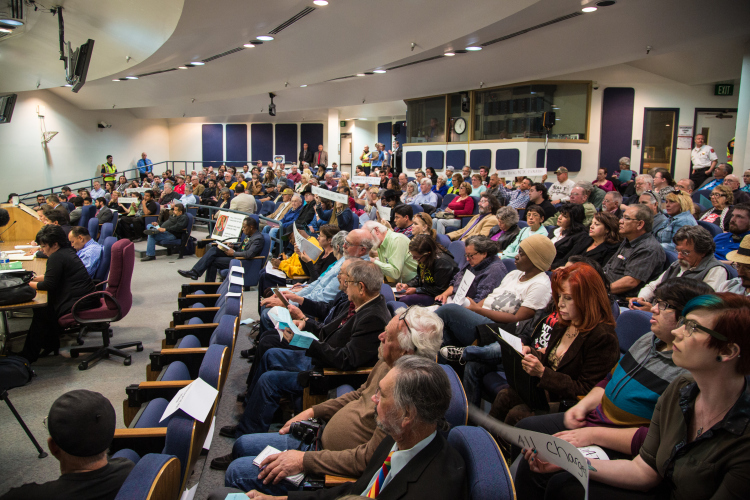 The meeting drew a capacity crowd of over a 150 people, with an overflow crowd outside. 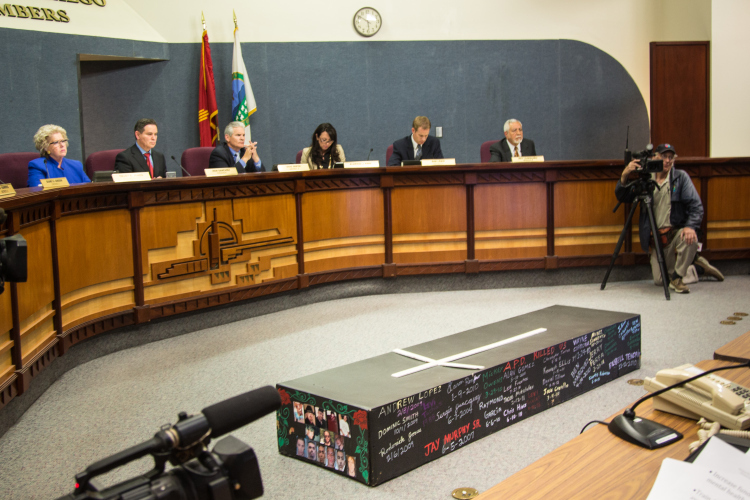 City Council President Ken Sanchez presided over the public hearing about the most recent spate of police violence stemming from APD’s killing of James Boyd and Alfred Redwine and response to recent protests against the department. 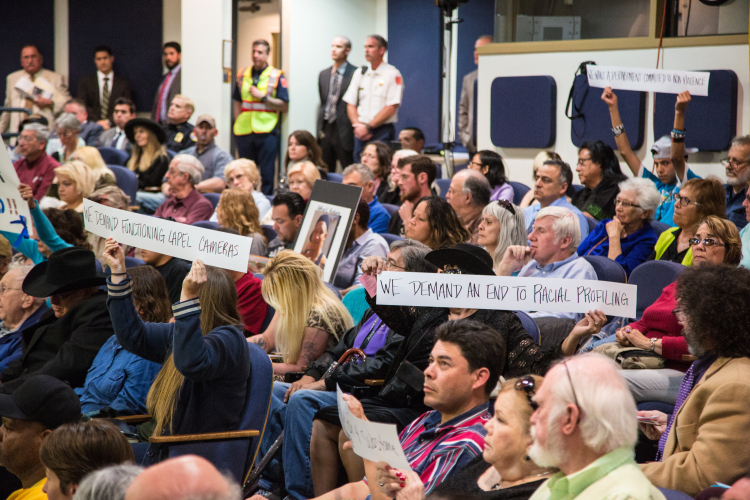 Protesters held banners against police violence and pictures of APD’s victims. Members of the various organizations that have worked on bringing demands to the City Council about APD violence in the past sat in the middle of the City Council chambers. In a standing room only, record-setting gathering of over 150 people at six p.m. on Wednesday night, April 2, 2013, the undergraduate student council Associated Students of the University of New Mexico (ASUNM) voted against adopting a divestment resolution targeting UNM investments in Israeli corporations. Student Senator Ayham Maadi sponsored the resolution, which was drafted and supported by eight student organizations—Students for Justice in Palestine (SJP), Students Organizing Actions for Peace, Movimiento Estudiantil Chican@ de Aztlán, UNM Dreamers in Action (MEChA), Men of Color Alliance, Men of Color Initiative, Fair Trade Initiative, and UNM Arabic Club. More than 150 people packed into ASUNM meeting in the Lobo A & B room at the UNM Student Union Building. 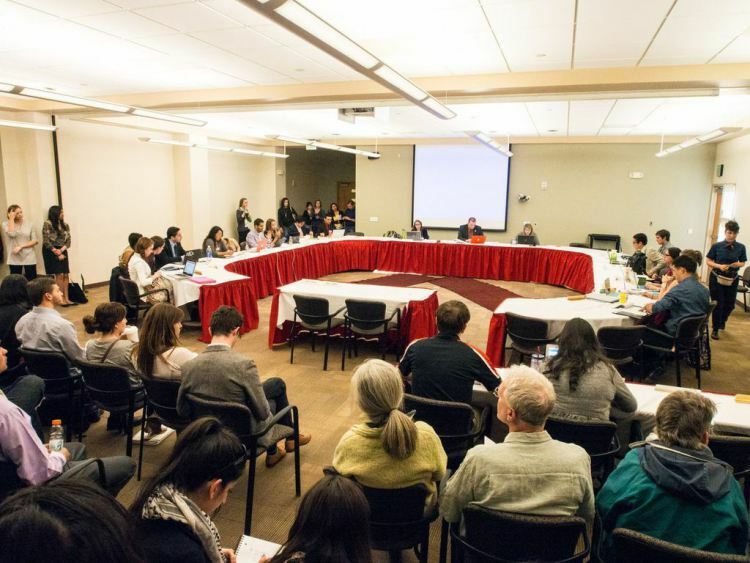 The meeting began at 6 p.m. and ended shortly before 10 p.m. More than three hours were spent discussing the divestment resolution. 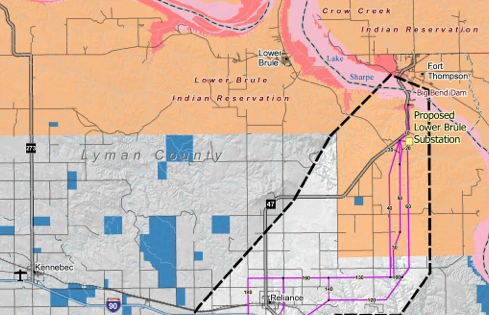 The need for the [Lower Brule-Witten] Project is driven by two key factors: 1) serve proposed short-term load growth on the 115-kV system between Basin Electric’s Mission and Fort Randall Substations, including electric service demands from pump stations for the proposed TransCanada Keystone XL Pipeline; and 2) provide an additional source of power at the Witten Substation to improve regional system reliability and voltage stability.